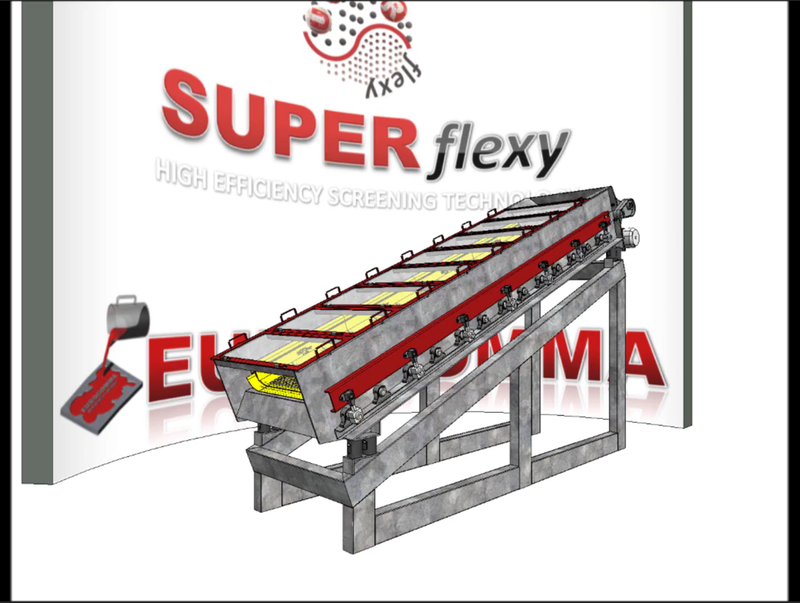 SUPER flexy is the screening machine for the hardest material classification. High moisture, sharp and sticky materials are typically creating blinding and clogging problems to standard screening technology like vibrating and trommel screens. 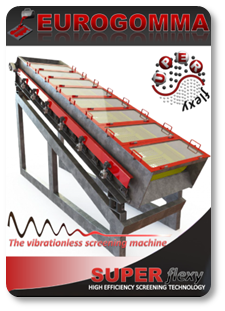 Another unique characteristic of SUPER flexy screening machines is the almost complete absence of vibrations because the processed material is not classified through the shaking of the screening deck but thanks to the 4 strokes drive putting the elastic GET flexy screen panels in torsion. 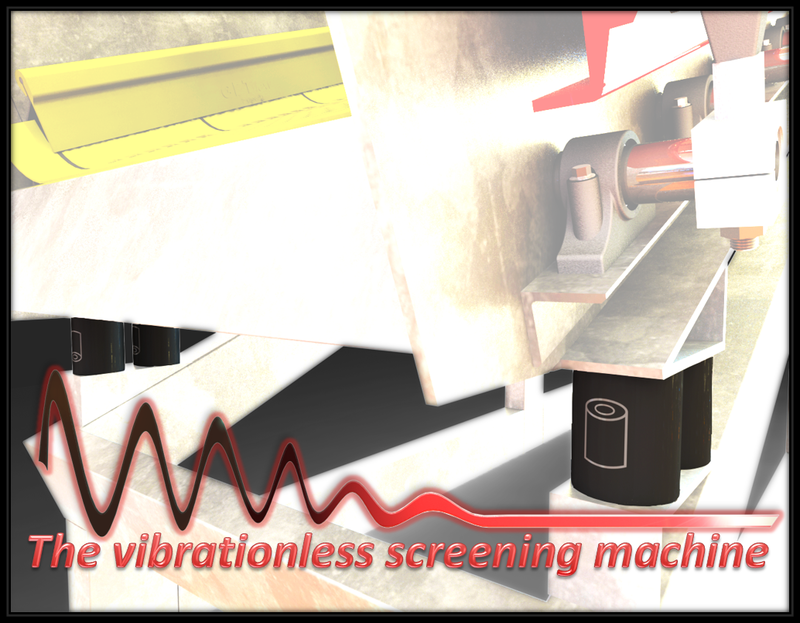 The low vibrations created by the drive are absorbed by rubber springs where the SUPER flexy screening machine is sitting. 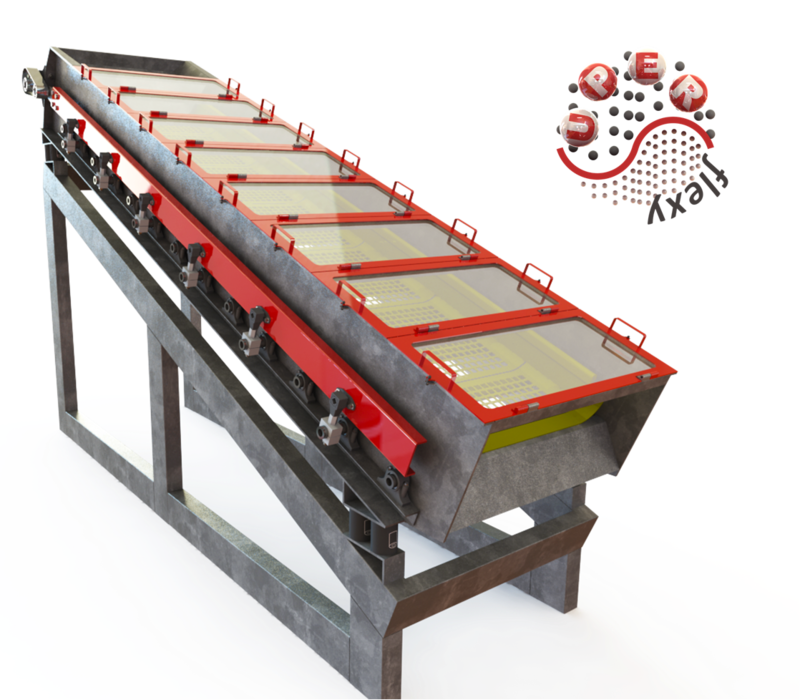 The elevated inclination of the screen deck helps every material to flow to the discharge end with no difficulty for the highest possible efficiency. GET flexy screen panels are smoothly bending on walls where sealing bars avoid any risk of unexpected material passing through to guarantee exact cut size.